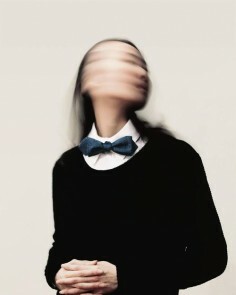 Billy Kidd, 1980, USA, is a fashion, portrait and celebrity photographer. He grew up in Phoenix, Arizona but currently works and lives in Brooklyn, New York. Since 2007 he has been shooting commercial and editorial work. In 2010 his images of Paul Dano were selected for the PDN Faces contest aswell as the shots of Pharrell Williams and NERD for PDN’s The Look contest. Billy’s images are soft and rough at the same time, it is young, edgy and rebellious. The following images come from his portfolio’s Portraits I, Portraits II and Celebrity. BILLY KIDD WAS BORN IN 1980 IN PANAMA CITY, FLORIDA. HE TRAVELLED MANY TIMES ACROSS THE COUNTRY TO FINALLY SETTLED IN ARIZONA, WHERE HE GREW UP. THE DESERT DEFINITELY HELPED SHAPE HIS WAY OF SEEING LIGHT AND COLOR. BILLY WAS ALSO INFLUENCED BY MAN RAY, ANDRE KERTESZ, JACQUES-ANDRÉ BOIFFARD, WEEGEE, AND HELEN LEVITT BUT MOSTLY BY IRVING PENN. BILLY SLOWLY TAUGHT (AND STILL TEACHING) HIMSELF PHOTOGRAPHY. IN 2009 BILLY DECIDED TO MOVE TO NEW-YORK WHERE STARTED WORKING ON DAYLIGHT PORTRAITS. THROUGH THIS EXERCISE BILLY DEVELOPED A UNIQUE ABILITY TO DIRECT MODELS AND ALLOW THE MODEL TO BE TRULY EXPRESSIVE. BILLY KIDD IS SELF TAUGH. HIS ADVERTISING AND EDITORIAL CLIENTS INCLUDE ERES, THEORY, RAG & BONE, GALLIANO, FORD/LINCOLN, NIKE, REEBOK, NORDSTROM, BARNEYS, TOMMY HILFIGER, ANTHROPOLOGY, VOV, FREE PEOPLE, J.M. WESTON, MR. PORTER, LE PRINTEMPS, VOGUE ITALIA, VOGUE MEXICO, NUMERO, NUMERO HOMME, W, INTERVIEW, GREY, WSJ, LE MONDE, PORTER, M, WWD, OOO, DETAILS, OYSTER, HARPERS BAZAAR JAPAN, ELLE JAPAN, AND OBSESSION. HIS PORTRAITS INCLUDE GEORGE BUSH JR., JEFF KOONS, OLIVIER ROUSTEING, ROSIE HUNTINGTON WHITELEY, JOSEPH ALTUZARRA, THOM BROWNE, BROOKE SHIELDS, ZOOEY DESCHANEL, JAMES FRANCO, JASON SUDEIKIS, PAUL DANO, SAOIRSE RONAN, RASHID JOHNSON, COLLIER SCHORR, PHARRELL WILLIAMS, ZOE KRAVITZ, LENNY KRAVITZ, NO DOUBT AND MANY MORE.